Caelum is an ERC20 PoW/Masternode hybrid token.The name Caelum is derived from the Caelum Supercluster, the largest collection of galaxies known today. 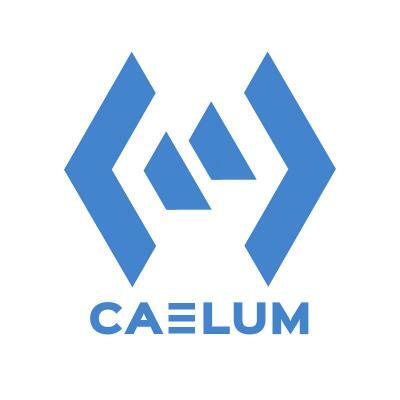 In the cryptocurrency sphere, Caelum ($CLM) is the token used across a series of projects under the all encompassing umbrella that is “Caelum Project”. Caelum Project is a community focused cryptocurrency built on the Ethereum blockchain. The project is lead by Skippy Brussels with the support of Caelum Community members. 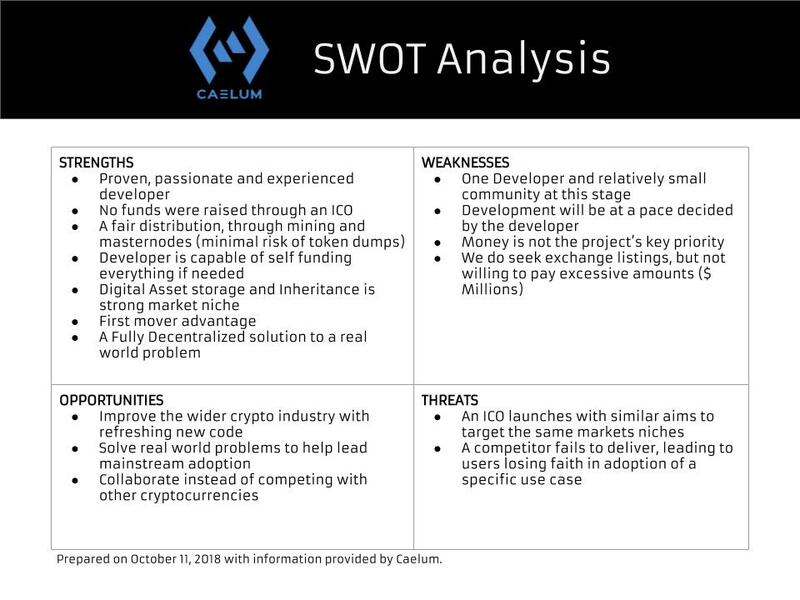 Caelum Project’s existence is driven by a desire to improve the cryptocurrency scene we know today and keep innovating to help increase mass adoption. The crypto industry is plagued by thousands of copy-paste works which add nothing to the overall cryptocurrency scene. Many projects out today seek to solely create profit, revenue or financial benefits for their holders. This is not the main priority for Caelum. Caelum aims to stand out from the crowd, as an innovator and significant contributor to improving the overall image of cryptocurrency. Caelum Project’s first achievement is creating it’s new and innovative distribution model. It’s first use case will be based around a fully decentralised Digital Asset storage solution. In simpler terms, there are many “lost” wallets, from people who passed away without sharing information on how to access these digital assets. Caelum will create an automated and trustless way to manage the inheritance of digital assets. - PoW/Masternode, where rewards decrease from 100% mining rewards to 2% PoW and 98% Masternode rewards overtime. and can be done with CPU/GPU. running. Once setup it is running until you withdraw your tokens you used as collateral. accept another ERC20 token as Masternode collateral. Any donations are much appreciated, and will help with pool & other project costs. This topic will be updated and maintained by the community. Caelum token is now live on The Token Store! So how many other exchanges support this coin? Is it worth it to mine if it can't be exchanged/sold except for 1 place? If that place shuts down then what? Lots of worthless tokens being held and unable to access them? This is 1st exchange for this young project, team is working on more listings and they will be posted here as they are officially announced. When it gets onto exchanges I am able to use will be interested in it then.